Give your nominees the rules and a specific Monday to post. What I’m working on at the moment? Compose a one-time post on a specific Monday (date given from your nominator). I got given 25th of May as the one-time post day! 1. How does my work differ from others in my genre? This is a really tough question to answer because I drew inspiration for my blog from other bloggers! I guess my blog doesn’t differ that much in terms of content but I feel as though I’ve created a layout and theme that has made it more ‘me’. When I was first starting to think about what I wanted my blog to look like, making it personal and also making it a true representation of myself were things that I considered as being extremely important. I guess that’s what makes my blog different – just the fact that it’s a part of me, a part of my personality and interests as a person that makes it truly unique! 2. How does my writing/creative process work? I don’t really have a particular set process. What I decide to post is usually very spontaneous because I get ideas as they randomly come by. I normally have a few posts prepared in advance that I can publish when my schedule allows, and I honestly just choose the one that feels right to me at the time. I just space them out so that I don’t upload two similar posts back to back! There’s really no set layout or guideline that I follow, I just use my gut feeling! It’s the same when it comes to writing my posts. Of course, if it’s a PR post then I will definitely plan it because I will have to make sure I include all the information needed but if it’s a regular post then I just go with the flow. I guess a review post is closest to me having a mental guideline because I normally start off with an introduction into what the product is and it’s claims, then work my way through to the packaging, all the way to how well the product actually works and finishing off with my signature advantages and disadvantages, and product rating. 4. What I’m working on at the moment? I haven’t been working on anything major for my blog at the moment unfortunately! =( If anything, I’m working on a schedule to follow once I finish my finals! I will have a lot more time to blog starting from the final week of June when I’ll be completely done with the first uni semester of the year! The date I’m going to set is two weeks from now, which will be the 8th of June! =) I look forward to seeing your answers to these questions! It’s always fascinating to read about how everyone’s creative mind is so different from each other and these questions are perfect to learn more about them! 1. It starts with a decision to be your own person. Don’t live your life to please or to impress someone else. 2. Try and grasp the fact that we’re different and have different goals and values, and don’t be swayed by other people who criticise your dreams. 3. Don’t compare your path or journey to someone else’s journey as we start from different places and face different challenges. 4. Be kind, understanding and patient with yourself. Accept that failures and mistakes are a part of everybody’s life. Also, choose to frame mistakes as learning opportunities. 5. 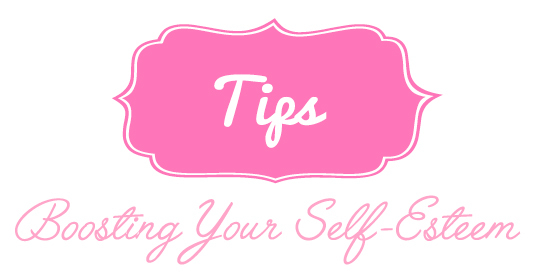 You need to root for yourself and seek to be your own best friend. Don’t denigrate yourself in public or when you’re alone. 6. Remind yourself that a weakness can become a strength in time. It takes patience and effort but eventually things change! 7. Make a list of what you’re good at and keep adding to the list. Also, note the strengths that others see and comment on as well. 8. Treat yourself with respect and praise the things that you do well. Don’t write them off as “nothing” or as being “no big deal”. 9. Find ways to dissipate and channel negative emotions. Don’t allow them to dictate the way you start to see yourself. 10. Spend time with those who like you and can see your worth and value, and ignore those who attack you and would like to see you fail. 11. Choose to stand up for yourself and value being more assertive. Also, decide to start to set and then enforce appropriate, healthy boundaries. 12. Admit your mistakes – then learn to laugh at yourself. It helps remove the pressure and the stress of “being perfect”! 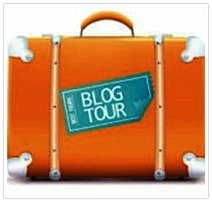 Hello everyone and welcome to my first ever series on my blog! =) I thought it would be a great idea to do a series on beginner makeup to help those of you who are maybe new to makeup or are just looking for more tips and tricks. Today I’ll be starting off with foundation as the first instalment of face makeup and then I’ll be working my way through cheeks, eyes and lips! Foundation is definitely something that most people do not get right at the very beginning without the help of someone else, myself included, so I thought it would the best to begin with! There are so many different factors to take into consideration when picking out a foundation so I’ll be sharing different pieces of advice on how to pick the perfect one for you. This is the first thing that people will look for when selecting a foundation because it’s so important to pick one that is the right shade for you. Everyone’s skin tone varies throughout the body so it can be quite difficult to work out what shade will work best for you especially when you are under artificial lighting, which can change the look of your natural tone! ♡ Work out your underlying skin tone. A good way to test this is to look at your veins on your wrist! If they have a blue hue to them, your skin has a cool undertone so it will be more on the pinker side. If they are green, then you have a warm undertone and you will have more yellow or olive pigments in your skin. If it is in between then you have a neutral undertone, where you don’t lean more on one side but you’re just in the middle. It’s not enough to get the right darkness in a foundation but to pick up one with the right undertone so that it will match you perfectly! Another important factor to look into is your skin type! 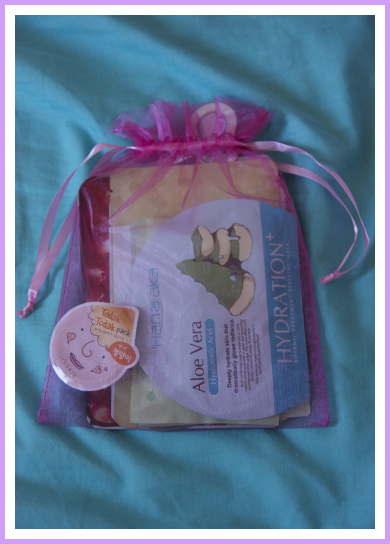 Do you have dry, oily or combination skin? 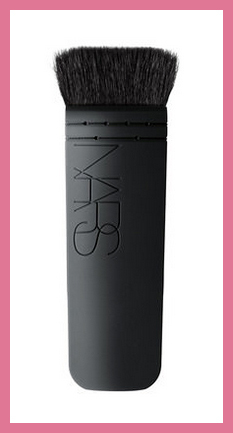 Do you prefer a matte or dewy finish? Do you have acne or breakouts? 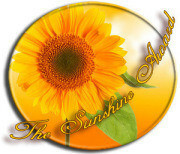 Do you have aging skin? All of these questions are really important to take note of when picking out a new foundation. ♡ If you have oily skin, go for a foundation that has a more matte finish to it so that it will keep oil and sebum at bay throughout the day. If you have drier skin, go for a more dewy or moisturising foundation so that it will not pick up any dry spots on your face! ♡ If you have acne prone skin then you would definitely be eyeing a foundation with fuller coverage. If your skin is more on the clear side, opt for something that has light to medium coverage. However, also remember that foundations are buildable so even if you do have acne prone skin, there is always concealer that you can use to cover up any blemishes that your foundation doesn’t! 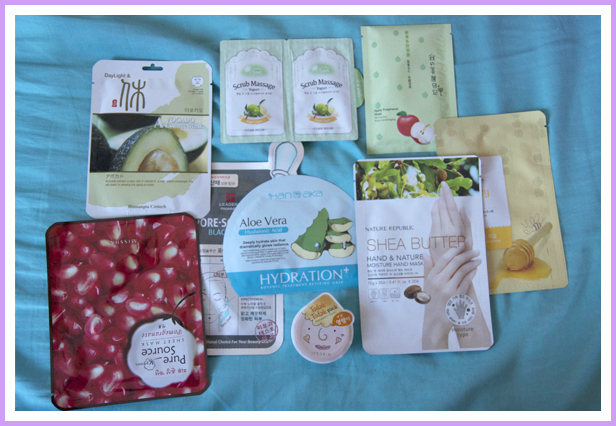 ♡ Always use a tester or sample! Most of the time, your hands are not the same colour as your face so definitely test out a foundation on your jawline to find the perfect match. A sample would be the most ideal because you will not be in contact with any germs or bacteria build up in a tester bottle, and you will also be able to take a proper look at the foundation under natural lighting at home. ♡ Sometimes a foundation works well with a particular brush and doesn’t work well with another so definitely give different application techniques a try before you completely mark one off your list. What TV show(s) have you been completely obsessed with lately? What is a major pet peeve of yours? What do you like most about yourself, both physically and in terms of your personality/traits? Hi everyone! Mother’s Day was yesterday for me but I know that it’s today for a lot of you so I’m wishing all of you and your mother a lovely Mother’s Day! I’m in love with how classy these shoes look! I feel like they would be appropriate for so many different purposes and occasions, plus they would suit so many different outfits too! Another product that gets talked about so so much! I have been using the same highlighter for the longest time and I feel like now is the time to try something new! 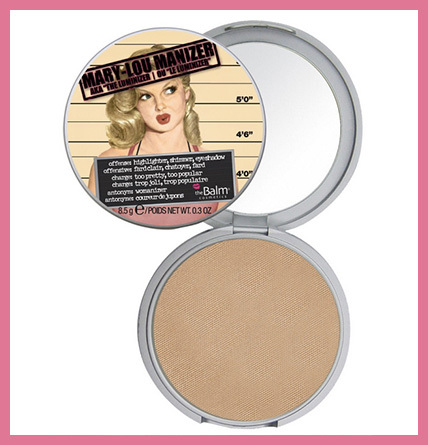 I have literally not heard anything bad about this highlighter, everyone seems to be in love with it! It’s definitely one that I am going to look into next! I hope you liked my wishlist for this month! 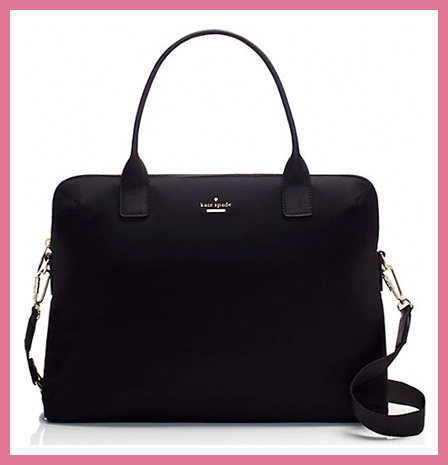 I find putting together wishlists so much fun to do even if I don’t end up purchasing the items! =P What are you hoping to pick up this month? The writing on the packaging claims that argan oil has a powerful antioxidant effect, which helps to neutralise free radicals and prevent skin and hair damage. It is also supposed to provide deep moisture that is easily absorbed by the skin and hair to protect from dehydration to create a smooth, beautiful glow. I’ve never tried any hair oils at all before so I was definitely very curious to try this out and I had high expectations too because I always hear about how great it is! I haven’t had a hair cut in almost two years so you can imagine how dry the ends of my hair must be! I don’t ever expect a product to get rid of them because that’s not really possible but my judgment will be on how much it can tame the frizziness and by how well it can minimise how dry and brittle it looks. The scent is quite earthy and natural such that it doesn’t smell like chemicals. It doesn’t smell the same as the oil, which I actually prefer the scent of but it isn’t bad at all. It definitely lingers in your hair so if it is a scent that you dislike from the get go then it would unfortunately bother you! The texture is comparable to a thick conditioner. When you apply it, it does not run down but it gets absorbed in the hair and will remain there until you wash it out after 5 minutes. Immediately after coming out of the shower, my hair didn’t feel any different but after letting my hair air dry, it was noticeably silkier! My hair felt very soft when I brushed my fingers through it. However, my dry ends were by no means completely moisturised, but they did feel less brittle and more manageable than usual. In my opinion, the hair mask is very comparable to the Macadamia Oil Deep Repair Masque that I’ve been using for a really long time. They both leave my hair feeling really soft the next day and I love it! My hair can get really frizzy but this mask helps manage it really well. If your hair is dry and needs a bit of a pick-me-up, then this mask is worth a try! 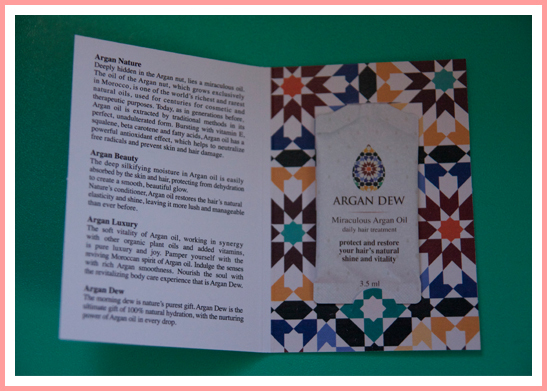 ♡ Although traditional argan oil has a scent that most people dislike, Argan Dew’s products have added fragrance to them so that it is more pleasant! 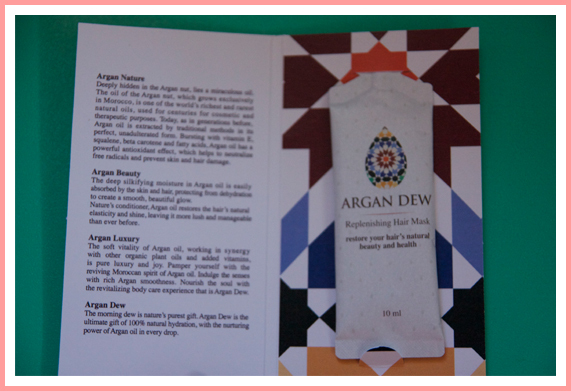 ♡ Argan Dew is animal cruelty free, their products are not tested on animals! 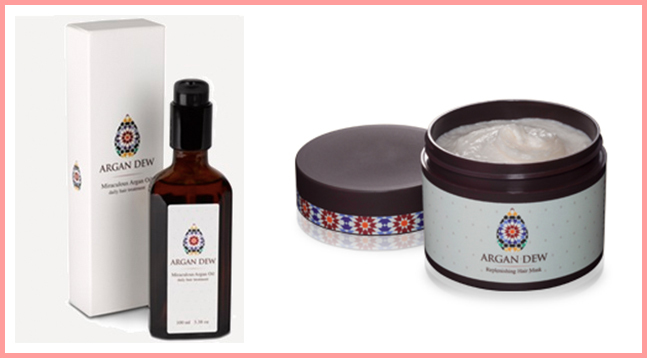 If you’re interested in trying out Argan Dew’s products at a 20% off discount then click this link and enter the code ‘argandew‘ at the checkout! Disclaimer: These items were sent for review purposes but as always, all my opinions and thoughts are completely honest and genuine.